Perfect finishing touch to this season Red Pearls floating accented in illusion wire or invisible string with surgical post earrings. 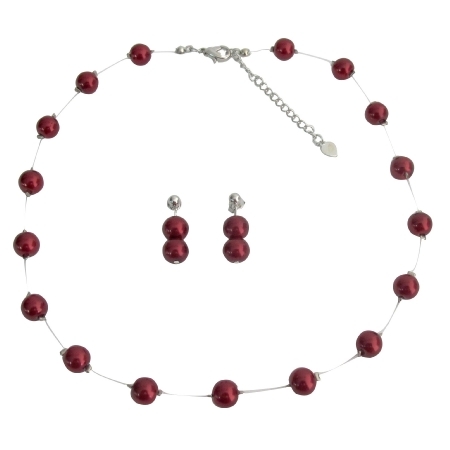 Jewelry Set is so classy! An outstanding reasonable & affordable bridesmaid bridal or for flower girls can make accordingly to their age.